That's a shame. She was one of my favorite Bergman regulars too. Going through her filmography, it never occurred to me that 1) so many of her roles, even in Bergman's films, were nearly thankless roles, and as many have now pointed out (including Andersson herself) usually required her to play a Doris Day-type across different periods in history. It wasn't until Persona when the full extent of her talents were known, which brings me to 2) so much of her film legacy rests on Persona, but it is one of THE great performances in film history, and it stands as a towering achievement even within Bergman's filmography, which has no shortage of great performances. Von Sydow memorialized her as having a great sense of humor. Has she ever been cast in a great comedic part? Last edited by hearthesilence on Tue Apr 16, 2019 9:55 pm, edited 1 time in total. A bit more seriously, The Devil's Eye counts, I'd say. Genuinely love it so no accounting for my taste. It seems like she was in a few even outside of Bergman though. It seems like she was in a few even outside of Bergman though. How did the NY Times miss that opportunity? has a pretty twisted ending. Dum Bom is the one that's making me giggle. Very sad news. I really like her performance in Persona. She was also one of my favorite Bergman regulars. 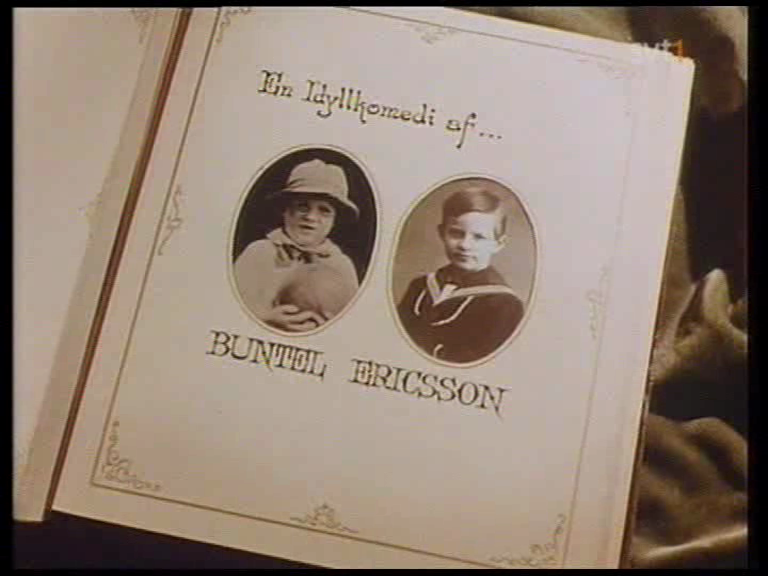 Wait, Lustgården / the Pleasure Garden was written by Bergman and Erland Josephson under the nom de plume of "Buntel Ericsson"! Unfortunately there are no English subs for it on back channels, but how did that pass me by? The Passion of Anna is one of my favourite Bergman films, for the performances of Andersson and Von Sydow, especially in the scenes surrounding the axe attack. She had an interesting flurry of US films in the late 70s: she's in Robert Altman's Quintet, an adaptation of An Enemy of the People with Steve McQueen, and as a psychoanalyst in the interesting looking I Never Promised You A Rose Garden which also features very early roles for Kathleen Quinlan and Dennis Quaid. Plus, ahem, getting it on with George Kennedy in The Concorde...Airport '79! Most recently she was in those Arn: The Knight Templar films and subsequent TV series. I Never Promised You A Rose Garden is actually very good and Andersson (& Quinlan) are very good. I really wish someone would restore it and give it the Blu Ray treatment it deserved. Bibi Andersson was one of my favourite 'Bergman' actors. Its most distressing to read that she suffered a stroke in 2009 and was left unable to speak. Its so heartbreaking. I sometimes check actors on imdb so see what they have been doing if I haven't seen them in anything for along time and of course some stop working (in cinema or TV anyway) for all sorts of reasons. Must watch Persona yet again in honour of a wonderful actress. This prompted me to do a list of films based on Bergman's scripts. I have posted it in the Bergman thread. I forgot about that one. I actually have some mixed feelings about it, but there is still much to like about it and that includes Andersson. She is wonderful in that role, and she has some beautiful moments with von Sydow in a film that's otherwise very harrowing. Let's not overlook her dual role in Wild Strawberries. Utterly charming. I was just thinking about Wild Strawberries. Her roles in that one are brilliant. ...so much of her film legacy rests on Persona, but it is one of THE great performances in film history, and it stands as a towering achievement even within Bergman's filmography, which has no shortage of great performances. Her passing prompted me to watch Persona again for the first time in over a decade, and I couldn't agree more. Also: I had forgotten how terrifying this film is! That overwhelming sense of mental breakdown, and the push-pull of fighting to keep a grip on a sense of self....jfc. Absolutely. It's all the more impressive when you consider that Andersson has perhaps 95% of the words in the film. Granted, monologues and one-person shows aren't exactly rare for actors, so it wouldn't surprise me if she didn't feel the least bit intimidated by that fact, but it also means any potential missteps in her performance would be much more damaging to the film. Fortunately, it's one of the most celebrated works in film history, and that's an enormous testament to what she achieved in her performance. That is so heartbreaking indeed. After all, in what might be her greatest (professional) performance, in Persona, she was the one who did the speaking (whereas Liv Ullmann did not). I can't imagine what it must have been like for her to suddenly lose the ability to speak.